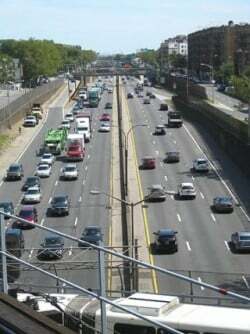 The focus of “Fifty years of American commuting – 1960-2009: What the numbers say,” is, as the title suggests, about commuting and associated patterns and changes. The primary difference between that report and today’s is today’s looks at year-over-year traffic congestion comparison data for two years – 2012 and 2013 – but only for April. Information was obtained from INRIX in its “Latest Index of Traffic Congestion Shows Risk of Uneven Recovery in the U.S. Economy” press release. On the other hand, the “Fifty years of American commuting” report considered data covering 1960 to 2009, not all years mind you, only 1960, 1970, 1980, 1990, 2000 and 2009. “This means the average trip took drivers in the 100 most populated metro areas nearly seven percent longer because of increased traffic congestion, a side-effect of better economic times,” INRIX reported. Improving transportation management: This could involve greater controls over how traffic moves, such as offering high-occupancy toll (HOT) lanes, signalized (metered) freeway on-ramps, etc. Offering options: This could involve greater dependence on public transportation, walking, biking, etc. (For more, see: the 2012 Urban Mobility Report, the section on: “Congestion Relief – An Overview of the Strategies,” from the Texas A&M Transportation Institute, in 2012, on p. 17, http://d2dtl5nnlpfr0r.cloudfront.net/tti.tamu.edu/documents/mobility-report-2012.pdf). How we move about obviously affects emissions. Finding ways to reduce emissions all the while making transportation more efficient and not negatively impacting the U.S. economy will be the trick. Doing this will, no doubt, be a challenge but one definitely worth pursuing and overcoming in my view. The public is the ultimate beneficiary here. That, too, is obvious.